Dr. Greg Downing, Founder of Innovations Horizons and former Executive Director of Innovation for the U.S. Department of Health and Human Services will be at the MaRS Discovery District in Toronto, Ontario, Canada on Friday July 20th as a member of an evaluation panel selecting the winner of the 2018 Procurement by Co-Design Challenge. 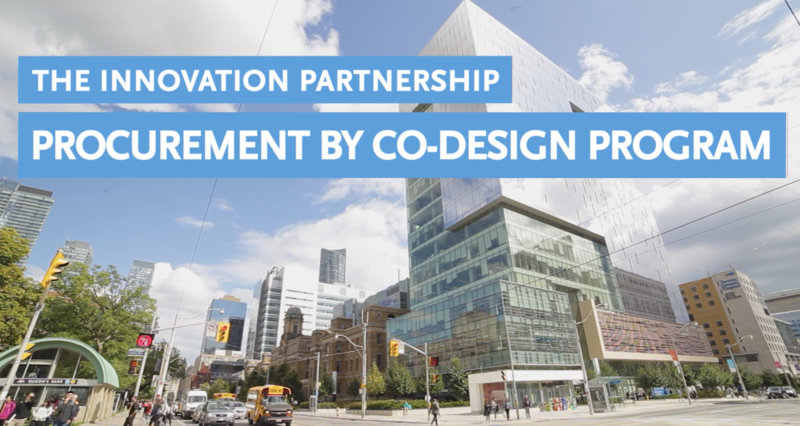 The Procurement by Co-Design, an innovation program, offers healthcare-service providers a unique opportunity to participate in the development of innovative solutions before procuring them. This year, four great finalists will showcase the partnership between healthcare and technology companies in creative and innovative ways of overcoming procurement challenges to develop impactful solutions. Winners will receive up to $50,000 via grant award. The MaRS Procurement by Co-Design program is led by Hyun-Duck McKay and Lily Lo, in partnership with the Ministry of Government and Consumer Services and funded by OntarioBuys. Other members of the Advisory Board include Tom Closson, Chris Ferguson, Sarah Friesen, Patrick Blanshard, Ying Tam, Veenu Aulakh, Alexis Wise, and Fanny Sie. More information on the 2018 Procurement by Co-Design Challenge can be found on the MaRS website.